The Black Quarterback Syndrome speech was given immediately following a talk by Marlin Birscoe on February 27, 2004 at Albertus Magnus College in celebration of Black History Month. Marlin Briscoe was the first starting black quarterback in the National Football League. 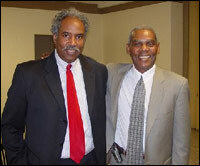 The Black Quarterback Syndrome talk was delivered by Norman M. Davis, Ph.D., friend and college classmate with Mr. Briscoe at the University of Nebraska at Omaha in the mid 1960s. Marlin Briscoe! How about another hand for Marlin Briscoe! I would like to offer a special recognition to the students from three of my classes who have come out this Friday evening, persuaded no doubt by the opportunity to earn some extra credit those classes are business communications, human resource issues and discussing the undiscussable. Indeed I would like to think the entire audience for coming out this evening. This is a reunion for Marlin and I  we have seen each other only once since we graduated from the University of Nebraska at Omaha. I am so pleased to have you here Marlin. I have written and spoken on several occasions about a management and team issue that I referred to as, “The Black Quarterback Syndrome” and when I learned that Marlin Briscoe, my old friend from college and for a while my college basketball teammate, had written a book entitled the First Black Quarterback I could not wait to get my hands on a copy from Barnes and Nobles and read it. After reading the book I knew we needed to compare notes and that I wanted to bring Marlin here to my college and share this, what I think is significant history with my school and community. I also knew I wanted to share my thoughts about the Black Quarterback Syndrome with Marlin. Incidentally, the way I view the Black Quarterback Syndrome, anyone can experience it. You simply have to be different from those who have gone before you. You do not have to ever have thrown or played football. 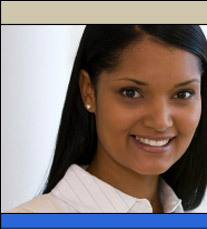 You could be white, Latin, Asian or female for example. And you could experience THe Black Quarterback Syndrome in any profession  not just football. Now back to my friend Marlin. Marlin was fortunate enough to be a survivor. A less determined person would not have survived. He has been a survivor through a period the 1960s and 1970s when it was commonly thought that a black person could not handle the central leadership responsibilities of playing quarterback for a National Football League team. I will go so far as to say it was also commonly thought that this was not possible at lower levels such as high school and college, and yes even Pop Warner and elementary youth levels as Marlin experienced and described so eloquently in his book. Not only was this commonly thought, it was also frequently expressed to young black kids who may have wanted to play quarterback. Sometimes it was expressed directly and other times indirectly; that is; the coach might say something like, “ I know you want to play quarterback but we want you over here to play another position”. I should point out that there were some exceptions to this biased, limiting and even oppressive thinking, especially at the little league and high school level but very seldom at the college and never publicly demonstrated at the professional level until after Marlin. I ask you to think for a moment what the perpetuation of such low expectations does to the psyche of young black kids nationally. I also ask you to think about what it does to the psyche of young white kids who witnessed this and what it does to the psyche of a society that participated in this as well as witnessed it. But of course society has a way of forgetting its pain as well as its lessons rather quickly. Fortunately we have Marlin’s book and in fact this talk today to remind us of the past but also you will see at the end of my address, I will offer some lessons or things we all can do in the future should we find ourselves being a “black quarterback”, being a team member to a “black quarterback” or even simply being an observer of such circumstances. You see that is really one of the purposes of offering such talks as this. While digesting the information we should be thinking we should thinking to ourselves … what can we do about it … what can we do the next time we see or encounter such events. Interestingly, we have a documented legacy of the exclusion of blacks and other minority group members from participating as athletes in sports, both at the collegiate level and professional level. (Story Governor Vaughn and Manny Jackson) clearly remember as a child wanting to play basketball one day at the University of Illinois in my home state and learning in 1960 or 61 that two very tall and talented players from Chicago, Manny Jackson and Govenor Vaughn would become the first two blacks recruited to play for the University of Illinois. Looking back it was my thinking as a child then that there were finally two black guys good enough to play basketball at that level; the University of Illinois. It would be absurd to have such thoughts today when we observe the numbers of black basketball players and athletes in sports. But that is what exclusion does to young black developing minds. And honestly, it’s an example of how exclusion can impact developing minds of any color -- or either gender for that matter. So, while we have quite clearly documented the entry of blacks and other minorities into sports at the collegiate and professional level we have at the same time documented by their absence, that blacks and other minorities are still viewed with reservation to be capable of handling managerial or leadership positions at the professional level. They are underrepresented in such leadership and management positions when compared with the number of blacks playing the particular sport. It would be illogical to expect that things would be very different in leadership and management positions outside of the sports industry. In sports we often have tremendously strong, interdependent relationships built among team members. Think about it; in sports ones performance can be assessed through some pretty object data or results; How many yards did the runner gain in football, how many passes were completed, how many points were scored in basketball; what was your score on the balance beam in gymnastics; how many blocks did you make in volleyball, how many hits, runs or errors were made in baseball. Despite this objective data, there was a struggle to integrate blacks and other minorities in professional sports. In business and in organizations where much of the performance can be subjective, it is easy to see how prevailing doubts about the capabilities of minorities, women, older workers, etc. can result in simply not giving these individuals the opportunities or if given the opportunities could result in biased evaluations of those performers. Hence when these individuals are called into the game of business to be a manger or a leader as was Marlin Briscoe with the Denver Broncos, they can feel as immense pressure when they are to perform. They often feel an additional pressure because of whom they are. These individuals may experience what I refer to as the Black Quarterback Syndrome. So tell me more about the Black Quarterback Syndrome you may be thinking by now? In my experience in private industry, teaching and management consulting, may occur when someone earns a managerial or leadership type of position in an organization or industry, but there has never been anyone in that position who was of that race, gender or educational background, age, etc. The individual feels like they are under a spotlight and the pressure to perform is far greater -- and they carry the burden of whether in the future others like them will be given a similar chance. If they fail management may never again give someone like them a chance to manage or lead. Or at least it may not happen for a long time. This may or may not be true, but it is those questions in the mind of the person being given this opportunity that puts them into the Black Quarterback syndrome. Actually, I believe Rush Limbaugh, conservative radio personality and for a brief time television personality, several months ago showed us that the “Black Quarterback” in football is still a highly pressured position with pressures that still involve their race. (lost first two games story) Limbaugh said and I quote: Sorry to say this, I don’t think he’s been that good from the get-go. I think what we've had here is a little social concern in the NFL. The media has been very desirous that a black quarterback do well, black quarterbacks and black coaches doing well. There is a little hope invested in McNabb, and he got a lot of credit for the performance of this team that he didn't deserve. I mention these examples not to suggest even whether they are right or wrong -- but to suggest that the race of the leader race, the quarterback is still an item about which the public is conscious about as well as the quarterback or the leader. The quarterback does not want to think about such things. They just want to do there job and do it well. Yes I know things are better than they have ever been, both on the football field and in the hallways, conference rooms and boardrooms of our corporations. However denial or wishing not to talk, hear or think about this does little for the individuals who face this dynamic. Let’s for a moment look at more of the characteristics that I have identified as the Black Quarterback Syndrome. The individual has been given significant responsibility to produce and perform. In addition they are frequently or occasionally reminded that they are a “first” or maybe a “second.” They want to be loyal to others like them but more than anything they just want to show management they have the “right stuff” and can do the job separate and apart from the fact that they may be a first or a “Black quarterback.” They see some individuals obviously trying to support them and can even see they want them to succeed. They wonder if this is because of their own management or leadership skills or because they are a “first” or “Black Quarterback.”(my own desire and the pressure I felt for Marlin, Doug Williams, Joe Gilliam, Randall Cunningham and black pioneering quarterbacks to succeed was remarkable… Friends, strangers who were black but football fans we would discuss the stakes of the black quarterbacks performance- it was new it was thrilling, it was agony watching passes dropped or balls thrown too far will he get another opportunity. Will they take him out of the game now? Will e be given as much of an opportunity to succeed or fail as a white quarterback  my own feelings and the feelings engendered in discussions with other black football fans surprised me  yea it was a matter of pride but it was also a matter of credibility  to proof they could lead  and win. I rember watching passes thrown and plays called, etc. …) The metaphoric black quarterback whether on the field or in the conference room sees and hears doubt expressed by others about whether they can do the job. They have to constantly evaluate whether the doubt is because of their exhibited management or leadership actions or because of expressions of doubt that come from people who just don’t believe people like them make good quarterbacks. Or those expressions come from people who simply never saw someone like you in such a position here at our organization. (I’m reminded TWA black pilot story). So you might even say that some of the doubt expressed comes from those who are victims of societies conditioning a society that has often quietly whispered “those people are not good managers, good leaders or they make poor quarterbacks.” Some of the doubt expressed might come from short sighted thinkers who offer that there has never been a black quarterback up to this point in history therefore that is scientific evidence that they can not play quarterback or transferring that kind of thinking to business; women cannot be lawyers, vice presidents of manufacturing organizations or presidents of large prestigious universities. All the while the “Black Quarterback” must figure out how to assess these interfering forces or even voices that come toward them periodically. Some of the voices may even be from their own imagination in recognition of the magnitude or uniqueness of all of this responsibility that they now face in managing or leading. Why did this have to happen to me. Why did we have to go with a black quarterback while I’m on the team. Why did we have to have a black VP of marketing, a female engineer project manager, a 25 year old financial investment wonder boy, a Latin woman Chief of the medical staff, or an Asian director of product development over me while I was here. I’ve never seen them in these roles so I’m not sure about them. Sometimes the reaction will be, “ I’ll be very careful not to let them know that I noticed they are a woman; they are white; they are black, etc. I just won’t even notice this difference. Sometimes in doing this it is like shouting at them, “ I don’t see who you really are and I don’t care!” So you ask what can I do, what should I do if I play for a black quarterback or work for a black quarterback metaphorically speaking. Here are my suggestions after observing this for years - sometimes being the black quarterback and sometimes playing for or working for the black quarterback metaphorically speaking. When you are the quarterback, the first of a kind, the manager or the leader, of course you must have the strong fundamental knowledge skills and abilities. You must have game. Remember the movie, “He Got Game” with Denzel Washington? Well you must have game. (Of course all the ladies believe that Denzel Got Game  and I would have to agree he does) Additionally, look around and observe how things are done. Strive to be confident and show a confident manner. Listen to what others have to say but believe in your own ideas and learn to sell them. If you throw an incomplete pass or make a mistake, acknowledge it but do so in a way that it is seen as part of the game, or simply doing business and reflect that it probably won’t happen often -- but show you are winning the game despite the interception. Determine how much you can and should fit in. Get to know about and understand the people that you are managing or leading. Find out what goals they aspire for professionally and personally and contribute to those goals to the extent that you can. Fist, don’t wait 25 years later to say I knew her when she was the first woman athletic director, he was the first white jazz musician in the group, or the first black quarterback metaphorically speaking. Recognizing historic feats is good but recognize the challenge this person is facing while it is happening not 2o years late; recognize the probable presence of The Black Quarterback Syndrome. Vow to be on the side of the quarterback, manager or leader and not be an opponent intentionally or unknowingly. Try to get to know and understand the person. Recognize that they want to be appreciated for their knowledge, skills and abilities more than anything else! Learn about their different ness, not for the sake of novelty but for the sake of it’s part of who the team is and it also supports another important value within the black quarterback; they want to feel like they belong. Despite the fact that the black quarterback, manager or leader is in a key position on the team, historically they have often been made to feel and question whether they belong. Work with them in a way that shows you believe there is no doubt that they belong. Help them make history, don’t just watch it being made.